The Black Legion Double The Bite Shark Sword Set will tear your opponents to shreds with its razor-toothed blades! 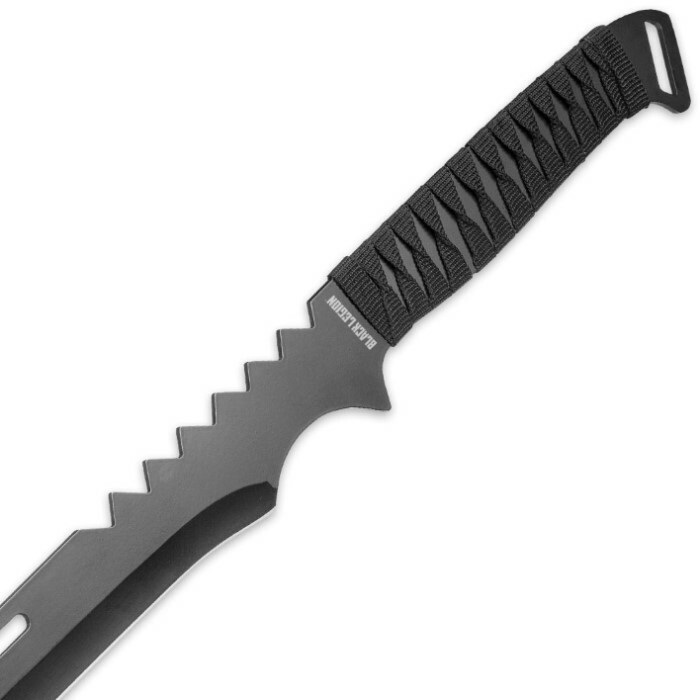 Two equally menacing black swords, both accented with jagged, toothy spine serrations and stylish through holes make a dangerous combination and these serious swords boast razor sharp, carefully honed 17 1/2” 420 stainless steel blades with stinging points. They are just the right balance, size and weight for simultaneous, one-in-each-hand use thanks to comfortable, water-resistant black nylon cord-wrapped handles. 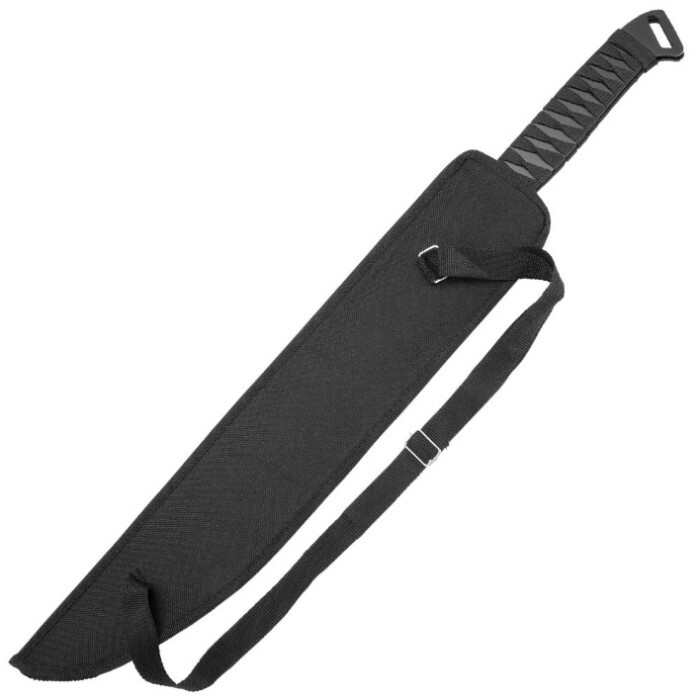 The twin sword set includes a sturdy, protective nylon sheath that holds both swords simultaneously so that you can carry them for quick access and ceaseless battle-readiness. 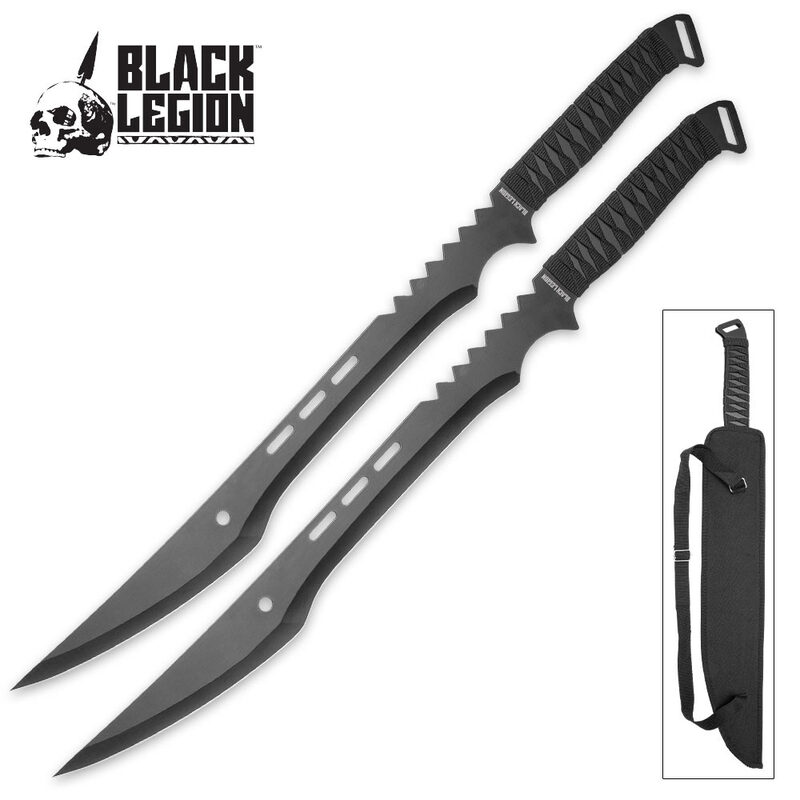 If you don’t yet have a twin sword set in your collection, the Black Legion Double The Bite Shark Sword Set is a fierce yet affordable place to start!